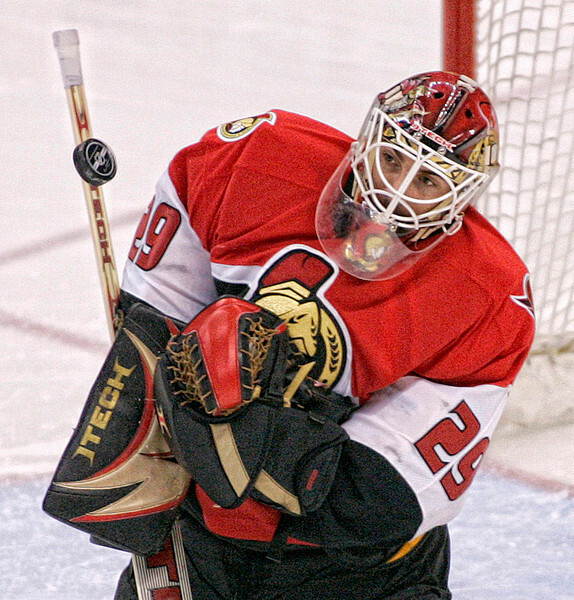 Ottawa Senators' Martin Gerber makes a save against the Florida Panthers during first period NHL action in Ottawa, February 14, 2007. Gerber had a shutout. Photo by Patrick Doyle.